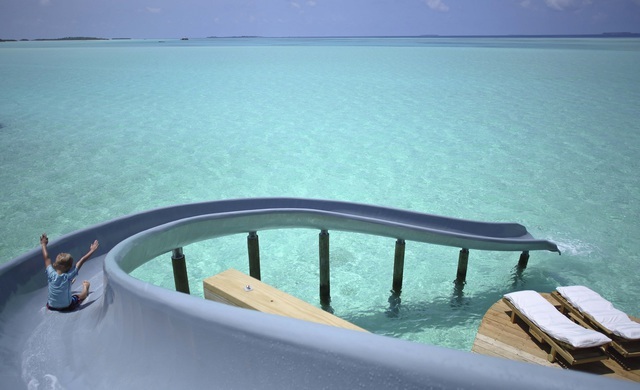 So, Soneva. Sonu and Eva Shivdasani are nothing if not inspirational visionaries. 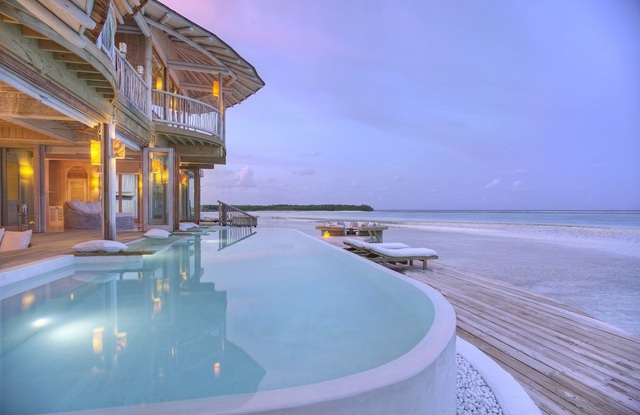 Their first resort island, Soneva Fushi, blazed the trail for environmentally conscious luxury in the Maldives, and remains a standard-bearer 20 years on. 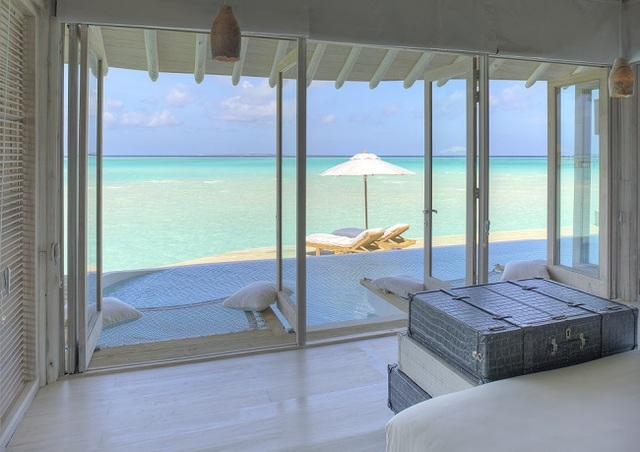 Other projects at Gili, Laamu and Kiri in Thailand have been stepping stones, evolving their concepts towards the astonishing Soneva Jani.  The accumulated experience along the way has perhaps influenced the name - from the Sanskrit word for wisdom. As you arrive in the expansive, shallow turquoise lagoon it takes a little while to adjust to the scale, particularly if approaching by boat. 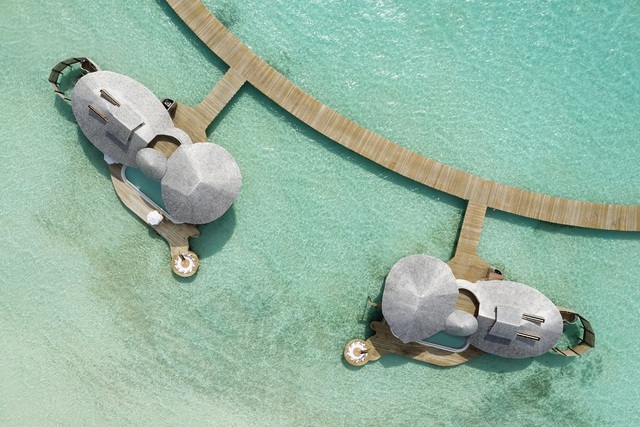 Are the silver-roofed structures dotted along the 1.4km jetty huge or tiny? Are the breakers on the atoll rim near or far?  The sense of awe and anticipation is reminiscent of a childhood visit to Disney World. The first phase of the resort to be completed is mostly over water, constructed from a mindboggling quantity of ethically-sourced wood from sustainable forests in South Africa & New Zealand. 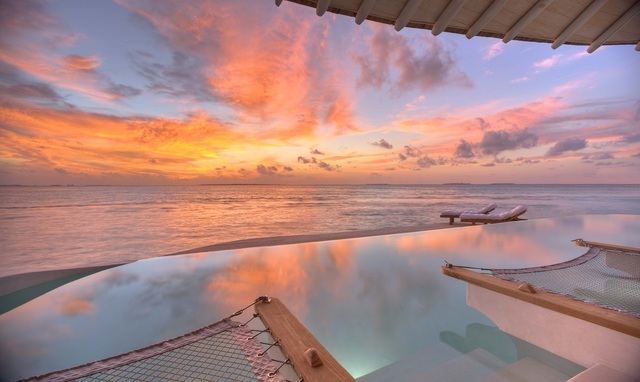 The villas are at least as fabulous as they look in the photos. We’ve run short of superlatives but we like Clare’s assessment that they’re ‘simply knockout’. 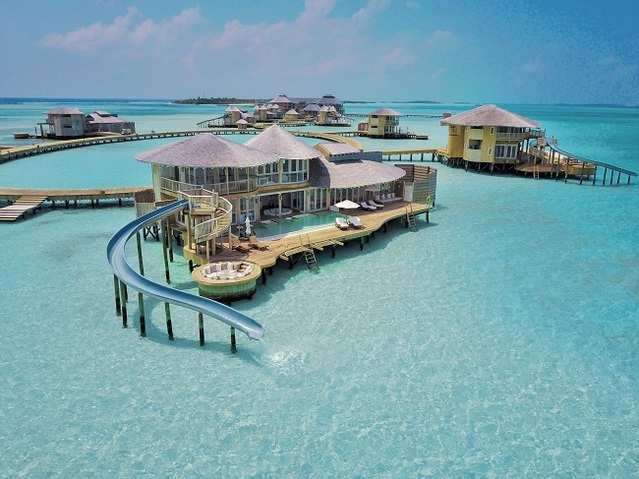 Sliding rooves and water slides might have been a bit gimmicky elsewhere, but at Jani they are clever enhancements that are proving extremely popular – so much so that more slides are on order for some of the villas that don’t have them. Most of the over water facilities are centred in The Gathering, an architectural and engineering masterpiece, which soars cathedral-like above the main bar, restaurant and galleried seating areas. Organic wooden furniture, enveloping sofas and handmade glassware from Fushi abound. 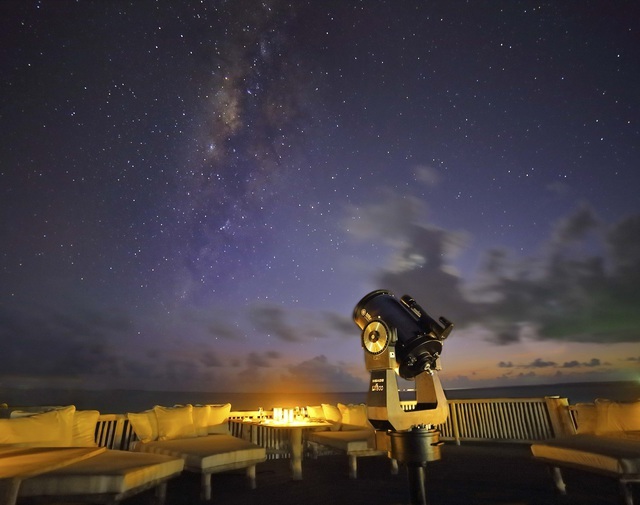 Wander the corridors and discover the spa, the fitness suite, the wine cellar and more, or find yourself at So Starstruck, an observatory with the largest telescope in the Maldives. The far end of the jetty finally touches land, and on the sizeable adjacent island there’s a water sports centre and one of our favourite spots, the floating cinema, So Paradiso. Future development will add island residences, a crab shack, and doubtless other goodies to be dreamt up by the ever-tinkering team. 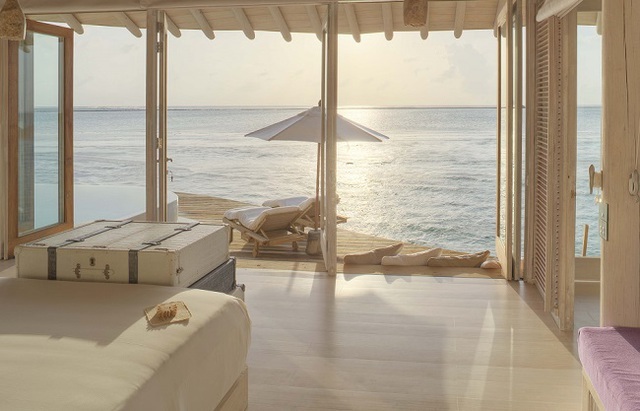 The resort as a whole is everything we have come to expect from Soneva, at the same time rustic and refined, cool and chic, light-hearted and sincere. A theme park for grown-ups, perhaps. The underlying message for us is that it’s possible to care passionately about our fragile environment, while still immersing oneself in a little escapist self-indulgent luxury. 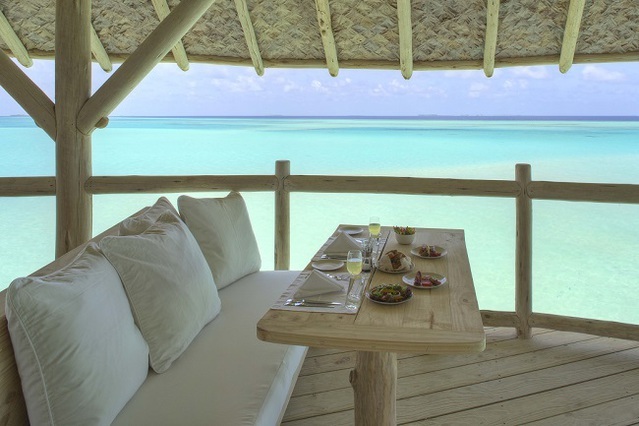 Prices reflect the investment required to bring Soneva’s imaginative dream into reality, as well as outstanding service and dining. 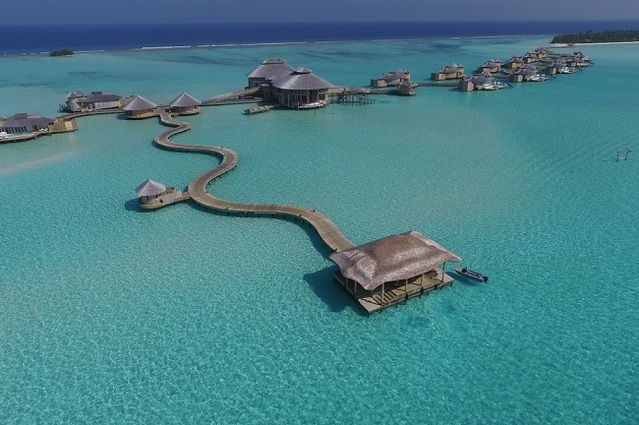 Add Soneva Jani to your bucket list, but also watch this space for where Sonu & Eva’s journey takes them next. 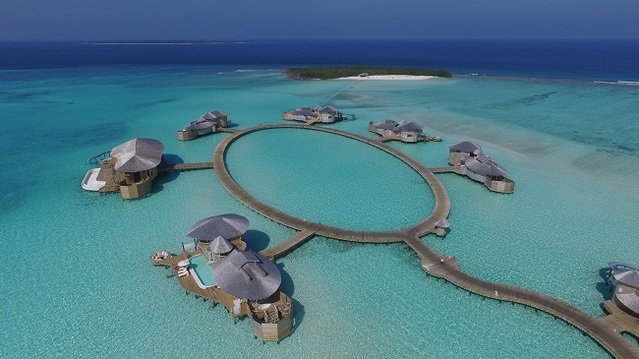 Soneva Jani, located in the Medhufaru lagoon (Noonu Atoll) is now open after a soft opening in October 2016. 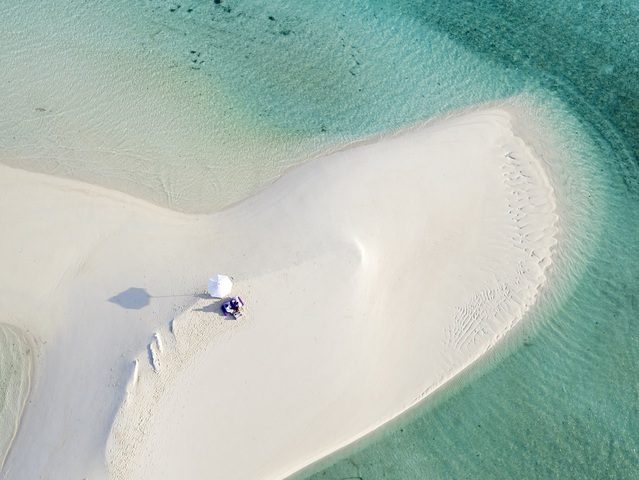 This is Soneva's newest luxury resort offering a unique 'castaway' experience. 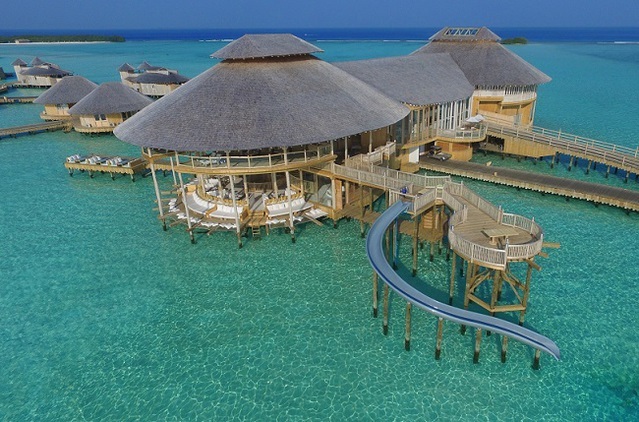 The resort is a 40-minute seaplane flight from Male, or a 60-minute speedboat ride from established sister resort Soneva Fushi for guests wanting a two-centre experience. 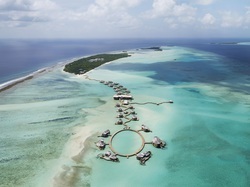 The first phase has delivered a selection of water villas with one, two, three or four bedrooms (some with water slides! ), plus a four-bedroom island reserve. 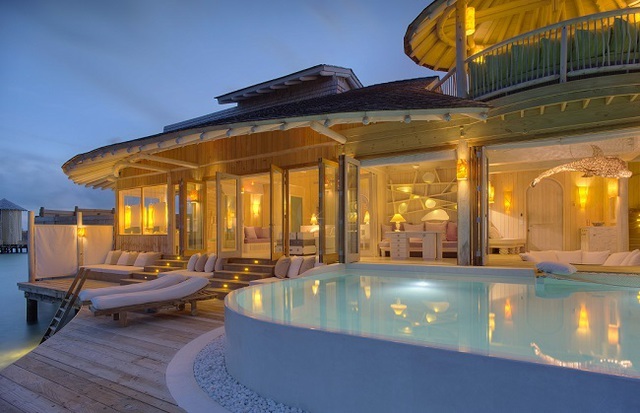 The spacious villas feature beautifully designed interiors made from the highest quality sustainable materials. In the second and further phases there will be a number of one-bedroom Crusoe Suites plus a choice of three-bedroom villas on the beach. 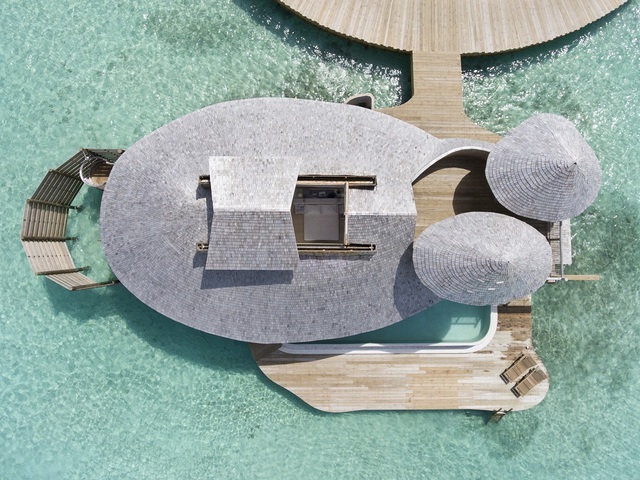 Soneva Jani includes a diverse selection of dining experiences, with The Gathering - a three-storey overwater structure - forming the heart of the resort. 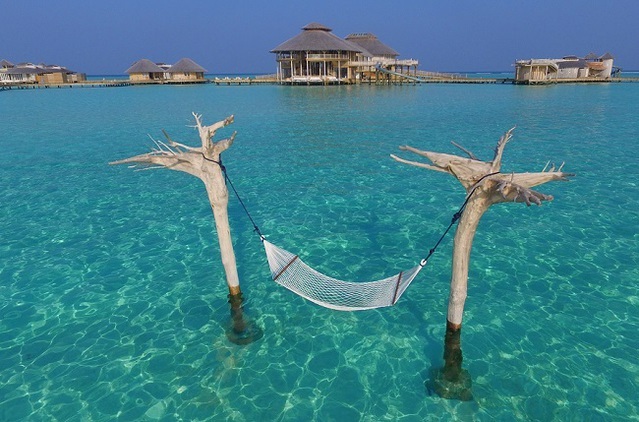 Medhufaru island was home to a farm for 10 years before Soneva Jani was created, and the extensive gardens are still supplying the fruits, vegetables, herbs and mushrooms to the resort's kitchens. 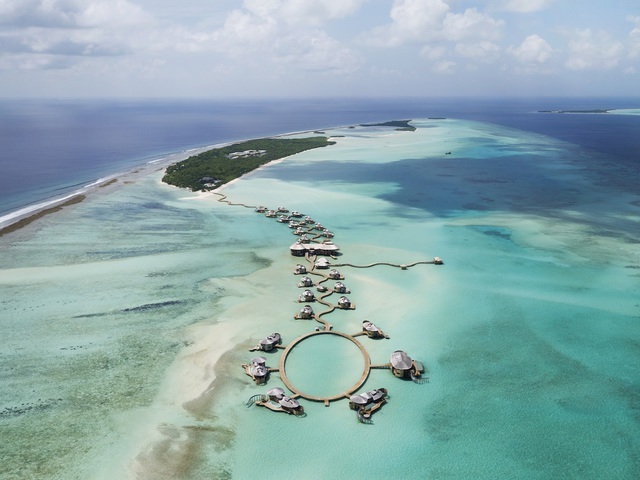 Other features include The Den for children, an observatory, Soneva Spa, Cinema Paradiso (overwater), Watersports and Soleni Dive Centre, as well as a library, gallery and a shop.